You may have noticed that we at Annexe HQ love the storytelling extravaganza that is Liars’ League. How could we not? There is something almost illicit about Liars’ League. An eager audience flows into a darkened basement to hear secret stories. The out-of-time setting conjures up a future where storytelling has been outlawed and enigmatic speakeasies have emerged in the shadows of the city. So, as a little extra, we caught up with Liars’ League leading lady Katy Darby to chat about defending the fort of fiction, performance/prose fusion and a christmas no.1. Firstly, how did Liars’ League come about? Has it always existed in the form it is in now? It came about through my friend Tim Aldrich and myself going to a reading about five years ago – it was Tales of the Decongested at Foyle’s, now sadly deceased, where authors read their own stories. The stories read that night were probably great, but it was really hard for us to tell because one author was extremely quiet and mumbled a lot, one had a very thick accent and a third was obviously really nervous and kept tripping over his words. We went for a drink afterwards and agreed that authors and audience would both have been happier if someone else had read the stories … maybe someone trained and confident in performing … someone like an actor. We knew if we didn’t do it probably no-one would, and so Liars’ League (with the help of a few other friends) was born. We’ve moved venues a few times to accommodate our expanding audience, and we’ve recently started filming the readings, but apart from that LL is much the same as it started out: the very simple principle of having a talented actor read a great new story aloud is the heart of it, and that won’t change. What’s the process behind choosing the programme for each event? Are there particular kinds of stories that you are drawn towards over others? We send out calls for submissions a few weeks before the deadline and then sort through the stories sent in, removing the names because we judge anonymously, and discarding any which are unsuitable (too long, usually). Then I send them to all the other readers – the stories are usually read by four or five out of the seven of us and we meet and vote for our top five. Simple as that, really. Once we have our five (sometimes six) stories we send out a call for actors, and cast the pieces from the company members available. In terms of the kinds of stories we favour, I have to say we have a soft spot for humourous pieces (as is probably evident from our archive at http://www.liarsleague.com), simply because Liars’ League is a live event and audiences love funny stories. But that doesn’t mean we don’t do serious, moving or experimental stuff too – we’ll perform any story as long as it’s good. What place do you think live fiction and storytelling has in 21st century life? 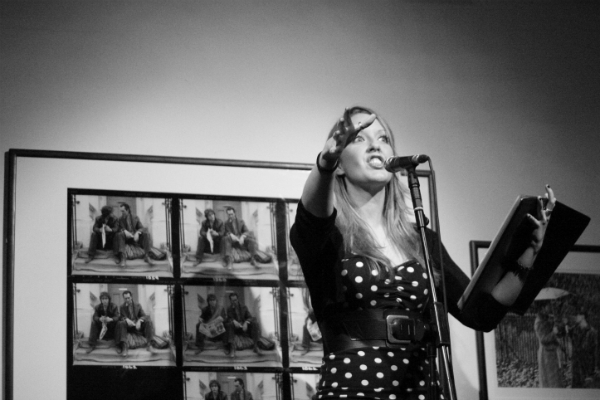 Storytelling and reading stories aloud is something that’s growing and growing at the moment – five years ago there was one regular live fiction event in London; these days there are at least 6 or 7 I can think of, and more pop up every year. We’re one of the only ones (and certainly the first) to have actors read the stories, creating a sort of “performance prose” fusion, but there are many more venues for new fiction now – not to mention ways to record the readings and places to upload them to – and I think that’s fantastic. I noticed there is a Leeds chapter. Is Liars’ League going to expand even further? What does the future hold? Are there any plans for mutations of the Liars’ League idea? 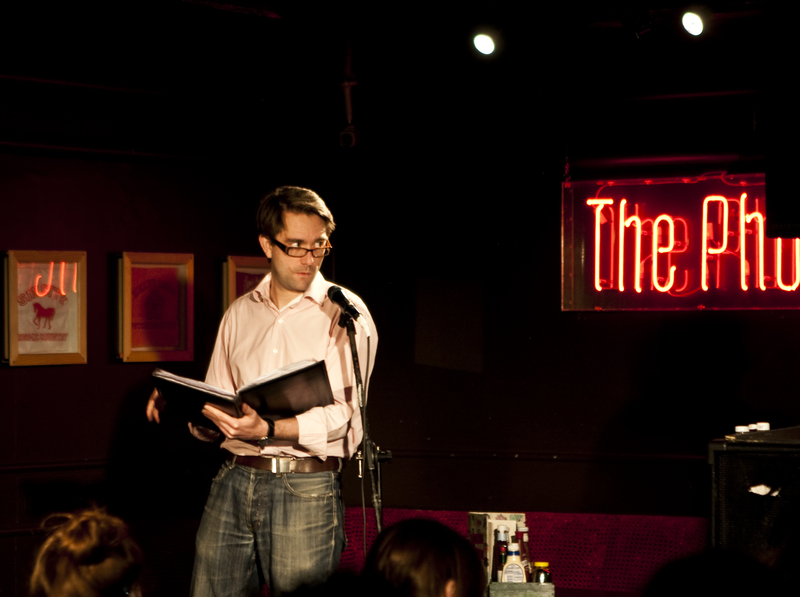 We’ve done a few recordings for the Granta podcast as well, (here and here) and hooking up with them to read some of the fiction in their new issue at our events, has been a great development in 2011. We’d hope to continue and maybe expand that, as well as partnering with other print magazines or publishers to promote their authors and expand our audience, but the essence of what we do won’t change – I think we’ve found a good formula and don’t want to mess with it. In the long term, I have a fantasy of doing an All Star Liars’ League at the Royal Albert Hall one day, with stories from Booker and Nobel laureates, read by the Oscar-winning cream of British acting – all of whom got their first break at the League. It could happen! Katy Darby, as well as orchestrating Liars’ League, is an award-winning writer of prose and plays. Her work has appeared in numerous magazines and anthologies including Stand, Mslexia and the Arvon anthology, and has been read on BBC Radio. She teaches Short Story Writing at City University in London. To find out more about Liars’ League, head over to their website. Or to have them whisper directly into your datasphere follow them @liarsleague. This entry was posted in Event, Fiction, Interview, Prose, Review and tagged liars league, prose, short story, Spoken word, stories, storytelling. Bookmark the permalink. HA! You’re absolutely right. It’s the slightly stern look I think.